Polio was epidemic in the United States in the 1916. By the 1930s, quarantines and school closings were becoming common, as isolation was one of the only ways to fight the disease. The Sauk vaccine was not available until 1955; in that year, Wisconsin's Fox River valley had more polio cases per capita than anywhere in the United States. 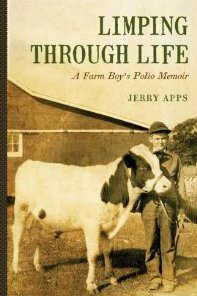 In his most personable book, Jerry Apps, who contracted polio at age twelve, reveals how the disease affected him physically and emotionally, profoundly influencing his education, military service, and family life and setting him on the path to becoming a professional writer.